The last Mission-Log about a GNU-Radio based NFM SDR receiver pulled in a lot of people, looking for examples, to better understand GRC and to improve their own SDR projects. The real beauty about it is this: Unlike hardware receivers, which can't simply be replicated and shared, we only have to come up with good software receivers/transceivers once and then may just share them amongst each other, without any limitation. However, the antenna itself, is still hardware and will most likely never be replaceable by software. On ##rtlsdr people often ask about antennas, because they are clearly not satisfied (and who could blame them) with the performance of the original L/4 DVB-T stub. Unfortunately, there just is no can-do-it-all-perfectly antenna, even if some despicable corporations try to market their products as such. 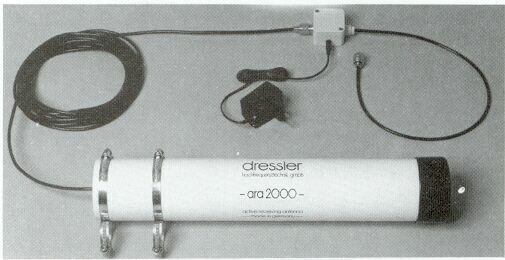 One of them was the Dressler ARA-2000, covering 50-2000MHz, designed and built in the 90's. The company died the usual death by capitalism (bought by another company and then stripped down and moved production to China). Today there are only a few of these left in the wild and are traded for unrealistic prices on $bay. This particular one was used for the Argus-Prototype but sacrificed and disassembled with the hope, that replicating the antenna will be easy, so that this knowledge would get openly reseeded into the wild, instead of being lost in some archives of a dead corporation. It would be great, if the following documentation about the ARA-2000 would inspire more people, to build their own Active Wideband Receiving Antenna (AWRA) and try to improve and evolve the concept even further or come up with completely new ideas. In order to open the ARA-2000, the black top cap has to be removed first. This can be done with a screwdriver that is pushed under the side of the cover, prying it free. After the cap is removed, the bottom plate needs to come off next. This was a tougher job and required the use of a hot-air gun, to heat up the glue and then carefully applying pressure with a wooden rod through the center of the open tube. The antenna element itself is a simple quadrilateral monopole, in the shape of a wedge, with a narrow start and a wider end. For lack of a common nomenclature and a relatively close optical proximity to a log-per design, this type is going to be ignorantly called log-per-spiral. The monopole is “glued” onto a self-adhesive, semirigid, matte-white material and then rolled to a cylinder with 80mm diameter, thus forming a spiral. Unfortunately, there seems virtually no accessible background data available about the RF properties of this particular antenna design. The small start of the original copper log-per-spiral begins at a 25mm offset from the bottom part of the white, rolled 80mm cylinder, the wider end extends 75mm over the upper edge. After 55mm from the edge of the white cylinder, the rest of the copper is bent around the outer tube and then covered by the cap. This has probably no effect on RF properties (can someone verify this?) but is probably a way to give the whole structure more mechanical support. Further analysis and research regarding material and availability lead to the speculative conclusion, that this foil probably is Aslan S22 PVC lamp shade film. The non-adhesive side of the material could be very much described as a satin surface and it's clearly not paper. PVC seems like a logical choice for this support structure material. It shouldn't interfere with the RF properties of the device and can also be used in an outside environment, where it has to withstand a lifetime of exposure to drastic humidity and temperature changes and extremes, without changing its own form or function. The transparent outer foil with the printed grid pattern (non-adhesive), which is wrapped around the log-per-spiral and PVC foil cylinder assembly, has the same dimensions as the PVC foil (405x405mm). It's obviously the by-product silicone release liner, that was originally used to protect the adhesive side of the Aslan PVC foil. That approach is actually very neat, since these foils usually end up in the trash and were put to good use here instead. Judging by the original build quality, it seems that there is some room for tolerances. It should be possible to hack the assembly ghetto-style, out of any rigid PVC foil you can find and just glue the copper log-per-spiral onto it. The outer cover tube is made of sturdy white PVC, to protect the inner assembly from rain, hail and UV-radiation and is also used to mount the antenna. Even after several years out in the weather, the tube still looks like new. Again, other materials could also be used here, as long as they won't interfere with RF and can withstand weather and UV-radiation. However, experience has shown, that a more professional looking antenna has a higher chance, that other people like neighbors or landlords won't raise objections to the installation. Depending on your local circumstances, that is something you should keep in mind. Due to the venerable age of the original LNA, it is very likely, that more recent semiconductors can deliver superior performance compared to the old design. The LNA is going to be replaced by a new LNA based on Infineons BFP420 which is cheap and available and should perform equally or better. The following two schematics show typical LNA configurations for the BFP420, the left one is the most simple approach (to be tested first), the right picture shows a more refined approach, with better base/collector voltage stabilization. Antenna element → RTL/Osmo-SDR stick (No LNA). Here you can see why these Amplifiers get all these bad reviews. I left and right mark show long wire endings, which could lead to bridges in the circuit. In the middle there is some solder on one via at the PCB. Again this dirt could cause a short circuit. All in all the inner manufacturing was poor but nothing that couldn't be solved. After some research the MMIC that is used was found as a BGA2709 manufactured by NXP. This MMIC can be powerd with 5V and therefore directly by an USB-Port. Beside the loose solder in the case there were two little pieces of copper wire. This is a close-up of the inside PCB and the used MMIC. Confusingly the pin-numbering of the MMIC is obviously wrong and I'm not sure if that is a mistake / stupidity or a distraction to “complicate” reverse engeneering. The marking on the top of the IC says “E3”, which fits perfectly to the BGA2709. I found this list with case markings of about 22k parts. The schematic revealed no surprise. It seems that a Zener-diode was used to stabilize the voltage of standard 12V BIAS supplys to the needed 5V. On the input-path there is a attenuator installed, right after the first decoupling C. It seems that it has an attenuation of 3 dB. In order to be used with a direct power supply you have to remove two inductors on the input and output Path of the power supply. In order to be used in different positions in the signal path I solderd two SMA plugs in the case, after removing the standard F-connectors. I attached an USB connector to the power supply line and after a short test the amplifier was ready to be closed and used. This one was equiped with cables to be installed better. The first picture was taken with an Agilent network-analyzer. In advance to the measurement the device has been calibrated. The device number will be added in some days, I forgot to write it down I think it is an Agilent E8357A. Sorry for the bad quality but there was no passibility to change the resolution. For this test I put an attenuator with 10dB in the output-path of the measurement. Keep in mind that there is a attenuator circuit installed on the input path of the amplifier. I will make some measurements after removing it later. The other pictures were made with an Agilent E5071C. The analyzer was calibrated befor test. In this test there was no attenuator present in the signal path and the stimulus was set to -30dBm. To put it in a nutshell: Thes amplifiers are just amazing after you clean them and I was surprised of the performance. A comparison to LNA4all and similar projects will be done as soon as the orders arrive. If someona has other amplifiers to be tested please let me know and we can comepare even more amplifiers out there. Although it won't be used anymore, for sake of completeness, here are some images of the original Dressler Bias-Tee, that was used to feed power to the LNA through the coax cable. It was supplied by a 12V power supply. It seems that the voltage feeding the MMIC's was kept constant and an adjustable attenuator (the blue part) was used to prevent receiver input overloading. Since the lab has no vector network analyzer yet (it's on the Wishlist), there currently is no tool available, to be realistically able to improve the design. Therefore, the antenna element should be replicated according to the original design, because it worked surprisingly well for years. When looking at the production quality of the disassembled antenna, it seems that this design type doesn't have the usual constraints regarding precision as a resonant design would. As soon as the new LNA prototype is tested and all other relevant parts are delivered, the new prototype is going to be built and a more extensive and practically proved assembly documentation will be released. This would also be the perfect scope for some SDR-Wideband-Antenna-Building workshops, so if you're interested in having/building one of these too, please drop a note, so that it can be planned. It should be possible to build this Antenna for less than 50EUR. I've tried to contact whomever at the IRC channel, but no reply. Please email me when its tested and ready. as you've seen, you sometimes need to be a little bit more patient on IRC, until someone can answer your questions :) Thanks for the nice talk. This antenna is kind of tapered helix antenna and must be installed horizontally pointing to a transmitter. where did you get this information? The antenna that was disassembled here was working for years as an active receiver antenna with an ICOM-PCR1000, a Realistic PRO-2400, an ICOM IC-92ED and lately with the rtl-sdr all in an omni-directional fashion, mounted vertically with very good results, compared to multiple groundplane and discone designs, at the same location. I can assure you, it's not a helix antenna, perhaps you've confused the designs, since the ARA might look similar to the gamma match, helix antennas ususally have attached at the bottom, to get them back to 50 ohms. Any updates on this? I'm needing to construct an antenna for my SDR and this looks quite interesting. At this moment, this is all there is. My personal resources are currently bound in DSpace, but I was hoping that we can come to the same principles of working as we do in software development. The Resources are online and freely available, someone else takes the information, uses it, perhaps builds an LNA, tests it and submits it back to the net, might even give a ping/pull-request. It's interesting to see that each month over 350 people visit this page, getting all infos for free and even without any ads or other forms of commercialization (as it should be) but the level of external contribution, feedback and improvements is rather low. The basics are here and if no one else steps in, the antenna will eventually make it back to the lab in order to continue improvement because it certainly was a very well performing general purpose receiving antenna. But this all depends on support from other people in order to have more resources for different projects. If enough SDR/RF people in the area of Munich are interested in building this, it would make sense to make a workshop. This way we can get the materials really cheap and will also have fun and learn/build something together. Maybe someone with solid LNA design knowledge would also like to join, to have a final complete rebuild manual/partlist. I have a LNA kit that I can probably try with this. Once I get it built, I'll see about constructing a copy of the antenna. I'll be sure to post back here if I come up with any useful data. The LNA kit I have is based around the Mini-Circuits PGA-103+. The BFP420 also looks like it has some nice specs. Another problem is that I have no antenna analyzer or network analyzer so my tool for determining how well the LNA or antenna is working is looking at the gain and noise on my SDR software. The 2nd amplifier on his page that looks good is the PGA kit. Maybe someone else can try this or tell me if it would be worth trying? Both kits are (UK)£12 each and I think postage is (UK)£5 so well worth trying. How does the system perform, when the SDR is connected directly to the antenna element (without LNA)? The LNA originally was only there to mitigate the losses of the coax cable between antenna and the receiver. What if we put the SDR directly to the antenna element and then use 5m USB cable to get indoors (should be enough for window/balkony placement)? So this antenna design should be viable without the LNA when directly connected to a SDR? 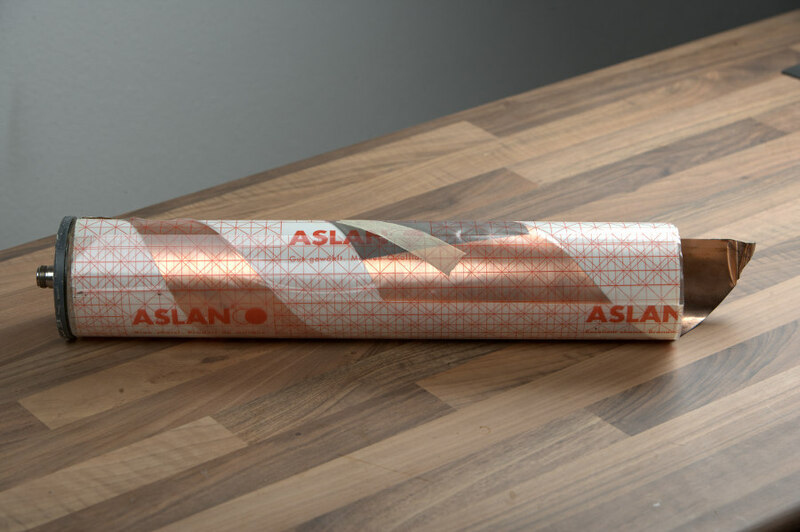 Also, if I am following things correctly, this “Aslan S22 lamp shade film” only purpose is to provide support (and limited protection) to the copper film. So I should be able to use any thin plastic as a support. I'd think that “remoting” with the USB cable would be more efficient than running a lot of lo$$y RF cable, esp at the high end of the tuning range. Has anyone actually built one of these yet and if so how did they work? Does Anyone know Anywhere in the UK that I can buy 90mm OD PVV tube? The only places I can see that sell it want stupid money for it - between £35 and £150 I only need 1M length at most. Lewis: I had some trouble myself finding PVC pipes in DE. The sources I finally found I got from one of these “national industry supply webcatalogs” if you know what I mean. I'm sure there must be websites listing UK industrial companies by business type as well. I've been in contact with numerous companies since I started to build Apollo-NG and told them what I wanted to do and - although by far not every company but still - quite a lot offered to send sample material for free. 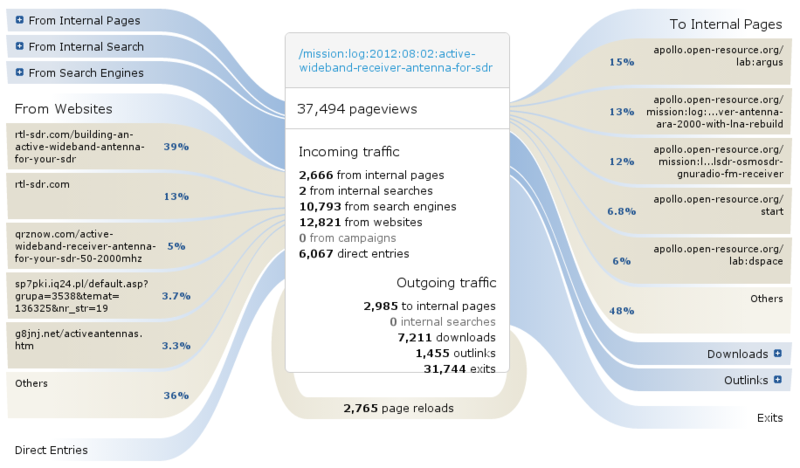 @TC: Indeed, that is basically what I've been doing with the Argus setup. I would like to make a PCB to the LNA. Can anybody help with a good quality Picture? Pictures of the original LNA, LNA4All or another BFP design? This is pics of the original LNA. Well, you can click on the images above to get higher resolution images. If I can manage to find it quickly, I might be able to make a top shot with a ruler in the image so that measurements can be taken from it. IIRC there is no bottom layer on the LNA PCB so what we can see in the images above is all there is to it. I understand your disappointment that everyone wants, but no one sends back. For my part, I have no istruments and no education to make measurements on such a complicated antenna. I am a radio amateur and can make more simple measurements. But if I find out anything else can benefit from I send of course into. If you have a top picture is good I do not need ruler. I am familiar with PCB manufacturing and will adapt according to what I can get by PVC pipe. But i think the coils on pcb are importent. @Finni: What gave you the impression of disappointment? Everybody wants something, that's just our nature :) Now, if everybody is willing to share what each of us can, it will be more than enough for all of us since most stuff is just artificially capped by legacy “culture” like copyrights, patents and the like. get the used “original” IC`s. But they are no longer on the market. I tried to build the Antenna. But I was not able to “Transfer” it to the Copper Foil. Can Anyone give me a hint how to Draw it in Original size? I would cut a 66x15cm sheet of copper and then start going by the measurements above. Probably a little bit of Pythagoras to get the distance from the edge to the point where the 90° angle is marked. I've also created a 1:1 svg file (see above) with the antenna element in place. If you print it onto 3 DIN A4 sheets, glue them together and use the shape to cut the copper you should be good to go. Can you try that? The longest edge should be about 65cm (for reference). I also have an “Old-School” 3,6GHz Spectrum Analyzer with Tracking Generator and Directional Coupler. So maybe I can make some Measurements. Ok…I built me a Dressler. I did some Frequency Response Measurements. And Compared them with an Original “AOR 50MHz-3GHz Discone Antenna”. I'm no RF-Engineer. But I must say, I'm Impressed by the Dressler. I think the Dressler is Usable up to 3GHz. The Dressler performs very Good at Higher Frequencies over 900MHz. I did some Tests, with a Ground Plane in form of a Copper-Epoxy Board too. I think, this Improves the Performance. I May post the Results later. I just started playing with my SDR Sticks and found this awesome antenna which would fit all my purposes. I read that some guys are from Munich and interested in re-building one of these. I am also interested in building one or two. I would be happy to get some Mails if you are interested. Sounds great, originally we were planning something like a workshop but not enough people in/around Munich showed interest. The whole reverse engineering job was done in the hope that the preserved knowledge would be useful to others and sacrificing the original antenna wouldn't be in vein. At the moment I have no acces to IRC ( I'm at work but I will try to join later. Maybe we could design something like a “ready to build” kit for peaple having trouble to getting all the material. I think there are lots of peaple around usind SDR-Sticks who search for exactly these type of antenna. E-Bay comes in my mind to get a lager number of participants. Designing a PCB for newer LNAs is not a very big deal and if you add a DC-filber in front of the DVBT-Stick you can use the 5V- of teh USB stick directly. The problem with funcube is the price compared to a 6 € DVBT-Stick from china. Goal will be to get a cheap antenna with LNA for the whole spectrum of the DVBT-Stick that shows up with a good gain. I made this dish. But not with copper foil but quite thin PCB And I have used RF2132 IC as amplifier. As a recipient RTL stick from China. And the original PCB layout. I do not have good experience with the antenna. This antenna + RTL stick is a very broadband system that brings together all the noise up. So I think that much depends on the receiver along with this antenna. It must be a receiver with some good filters in the entrance. I would say a high performance receiver. The signals that it might be interesting to receive are often far away. Perhaps as a mobile system where you can drive closer to the signal source. I just tried to find further information to the amplifier u used and I only found sheets that name the usable frequency range from 800-950 MHz. This might be one of the problems in your setup. I built several broadband antennas and and so far I found no issues beside too strong signals. Please let me know if you have further details or measurements concerning the amplifier. Question. Does it need to be built out of copper foil ? What about using aluminum foil which is readily available in the kitchen. Understandably Al might be lossy, but the LNA should take care of that. Am I making any sense at all ? Is the copper one piece or is it 2 pieces taped/soldered together? I see some black tape on some images, in the middle of the copper. That would actually be quite helpful to know because you wouldn't need as much copper foil. I'm going to rebuild this thing with the cheap inline amplifier. Already ordered the amplifier and the copper foil. The structure foil is going to be replaced with whatever i can buy locally, since it's not crucial to the design (at least i think so), same for the outer housing. I don't have any advanced measurement tools or any expertise in this topic, so i'm afraid i can only give you some general feedback. I'm at 56Euro overall, still need the outer tube though. Still waiting on parts though. Has anyone done anymore with this? Can anyone give intructions or tutorial on how to do this? What do people think of these?? I've never actually tried these RJ45 TP repeater cables myself. Apart from device connection issues I'm not sure how much noise these will pickup on the power line. I never had the time to go for some conclusive testing regarding power supply of the rtl sticks. It may make a difference when the stick's powersupply is as clean as possible (like any A/D converter). If someone else could beat me to it, I'd be happy to hear about it. Hello… I think I solved the tube diameter availability problem … just take some one sided self adhesive plastic/paper and roll it to the diameter requested. Be sure to draw some lines that will eventually overlap at each roll so that you have a control mechanism for rolling the right size. Do the rolling as many times as you like/or requested. Also for fixing the cooper foil on the tube we could use kitchen transparent foil and after that another roll of the above plastic/paper from which we built our cylinder. Take all this and put it in whatever bigger plastic cylinder you have cause I don't think that will interfere with rf. Be aware that not all plastics are resistent to uv light and I don't know if painting the exterior with spray paint would interfere with rf. I think that a piece of polypropylene water tube is a good place to start. A good add on to this antenna would be a diy pcb design for the LNA and for a 5v or something power injector trough the coaxial cable. Keep the good work and thanks. I have already built an antenna but with local materials … First modification - antenna element made of aluminium (had some foil from printing press «books printing» laying around). Depending on the quality of the reception this can be replaced by cooper. Second modification - only have a plastic tube that I want to use as external casing which is 80mm (outside) in diameter and the inner side is 77mm (wall size 1.5mm x2). No lna available to me so far (no tested and known to work schematics so far) but depending on results I can etch (or order boards) and solder locally. I will be in Hamburg next week and want to ship the antenna to you (since I am new to antenna field and lack the means to test) so that you can test it and maybe post the results so we can see if small variations in size and materials make a big difference. If you are interested please contact me with the shipping address. Thank you. HOW do I mount (attach) the 90mm diameter antenna to a 2 inch (50mm) diameter pole? Ahoy, originally there have been two “special” metal clamps, shaped like an 8 with a larger diameter and a smaller diameter (I'll look tonight, if I can find them and take a picture) around the outer tube at the bottom in order not to interfere with reception above the level of the LNA board. You could use just two regular hose clamps to strap it to the smaller diameter, in that case it might make sense to make the outer tube a little bit longer to have more area to press against to. Sorry, didn't have enough time to look but found this, using a duckduckgo image search for ara-2000. There are a couple of more images, which should give you a good impression of the original thing. Can anyone tell me HOW to print the svg file properly? Ah sorry Lewis, have been offline for quite a while now :( The image was created in inkscape so it should be possible to print it with inkscape on Windows too :) Or we could try to update it, since it's bigger than A4 so that the splitting to fit the print on two pages is less of a hassle. Well I made mine last night and got it in the attic today. Must say - first impressions is I'm impressed. I was able to audibly hear Noaa 18 today when it was appx ove the east border of Turkey, I couldn't hear it that far east using the proper turnstile antenna tuned to 137Mhz - it was in the noise but I could definitely hear it as well as see it on the waterfall of the sdr receiver. I use 75ohm cables and F connectors for my receivers, much lower signal loss, and the difference in impedance means nothing on receive. Has nobody else made this antenna yet? I build this antenna last year. It's placed in the attic with a few higher buildings in the neighborhood and located in a valley, so conditions are not that good. The LNA (cheap one for SAT purposes) is connected to the copper element via an F connector and the cable to the receiver is only about 5cm long. 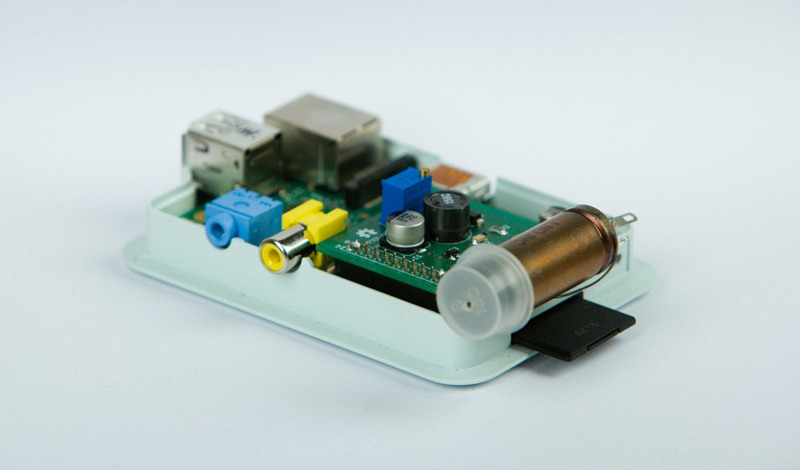 I use an raspberry pi to stream the data when I want to play around with SDR# or similar software, The pi is powerful enough to decode ADB-S/ACARS signals directly, so no need for streaming there. It's important that you use a cable connection though, WLAN might only work if you have a REALLY good connection. I mainly use the antenna for aviation related signals like ADS-B (1090Mhz), ACARS, FLARM(868.2/868.4Mhz) or just for listening to AM communications. This is the first antenna I use for SDR so I have no reference. There seems to be a lot of noise which might be caused by wireless devices in the home, not sure. I was able to receive ADS-B signals from 260km, which is quite impressive (depends on weather conditions though). ReBuilt the antenna of cooper and I live with the sensation that the aluminium (4m cooper wie ) was better …. the cooper I bought is 99.9 pure (for electronics use, Pb solder sticks to this one and used multifillar cooper coax, max 10m wire for connection to the RTL) - 40eur for 3kg band 0.2mm x 300mm this is enough for 6 antennas per design) and when putting it inside the tube it bent freely … this was not my plan but ahappened to be the case, with aluminium as it was pretty sturdy and didn't bent easily, I will have to redo it to bend on the 80mm (now 67mm diam for antenna) tube and include it in some 90 mm tube when I figure out how to make it weather proof (together with the Gamma tube and the wind generator and the rasp pi 2. This being said do you recomand/impose a setup to test the antennas? Software / Hardware recomandations like a procedure and predefined tests? maybe based on satellite signals/rtl chips and manufaturers strenght which should not vary too much over large swats of continents so we can have a reference? dan. PS Could I not be human … robots do tests ????? That's highly unlikely, since it doesn't require a long BNC cable to work. Also, the elements surface is much bigger than 3x3cm. What do you mean by “I have a 900Mhz version of this antenna”? This was designed as a wide-band antenna to work between 50-2000MHz, so I'm a bit confused by this. Also, although I haven't run NEC simulations, I don't believe that this particular physical antenna element type has any kind of considerable gain to speak of, it is, after all: A general-purpose, omni-directional, wide-band receiving antenna. Made one of these using 0.5mm sheet AL, 80mm inner and 90mm outer pvc. Add a few tweaks to make rolling and connection easier, no solder just a crimp tab on the bottom end. see this blog for pics. Ah nice, thanks for sharing. It would be interesting to see a direct comparison between copper and aluminium. It would make sense to throw a link back from your post, so that your audience will find this content easily as well. Updated blog with a link back to here. Well, judging by the original “quality”, it doesn't seem to have to be precise to the millimeter, as other antenna designs for specific wavelengths or high-gain types usually require. If I would have found a paper, explaining this particular design, you can be sure it would be linked here but there was nothing to be found really. That was the reason to take this one apart and document its parts as precise and repeatable as possible so that others may go ahead and copy it. Therefore, by all means, play with it, experiment, try different approaches. Every documented and published experiment (fail and success) helps us all to learn more and evolve free p2p technological knowledge transfer. It is possibile to use brass instead of copper? Of course, building antennas is not just about electrical conductivity but also about ease of sourcing, shaping/forming and last but not least the materials tendency to oxidize or rot. In between all of these choices we have to select the compromise which suits our needs as best as possible. If you are looking at a source of 80mm tubing check out any source of high power rocketry components (public missiles is one source). A 3” tube is actually 3 inch internal diameter and 80mm outer diameter. The materials vary from cardboard which could be used as a form for the antenna. Other materials are phenolic, plastic and q-10 fibreglass. The 3.9” tube is just over 100mm outer diameter. The tubes come in 36” lengths. They also source end caps and various centring rings which could be used in the construction of the antenna. Note that all of these materials are RF transparent (the carbon fibre is not). 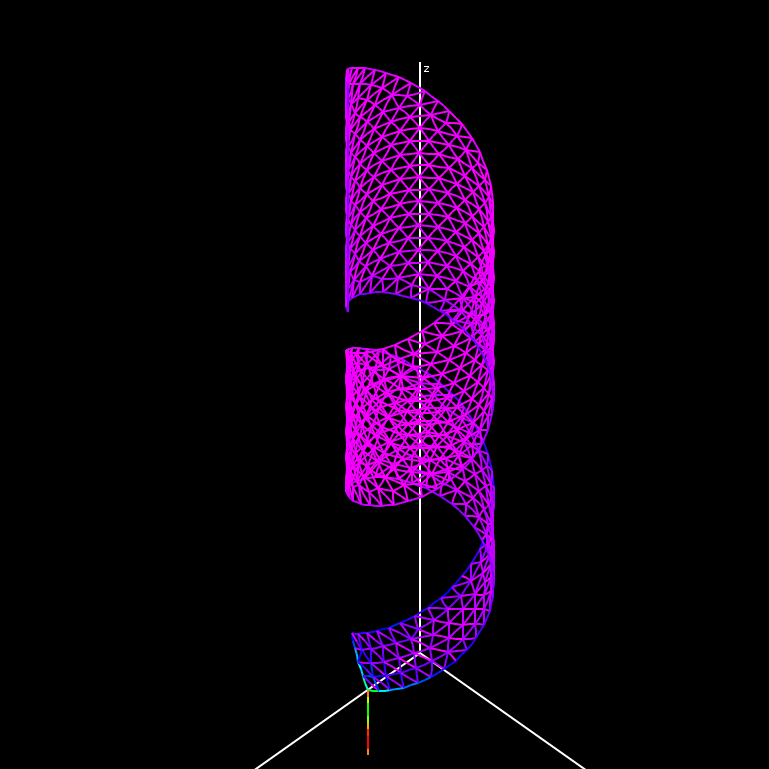 To all still following: I made some attempts at modeling the antenna and put my results here: https://www.samuelburri.ch/2016/06/10/ara-2000-antenna-model/ No conclusion as of yet. If someone can take it from here to improve the antenna or give me a few hints where to go it would be nice. I am no antenna specialist, only an electrical engineer that started a bit into SDR and plans to make this antenna sometime soon. Hello all, some sources of materials for those in UK. 80mm former material is easy to find! Floplast gutter down pipe,metal tube/pipe stockists, fabricators,may even get an off cut for free if you look around. Here are a few links to get started. Thank you for making this info available, I shall build and post results/methods etc when I get around to it. Almost forgot a source of 90mm pipe and end cap..
End caps http://www.irrigationonline.co.uk/products/PVC-Glue-End-Cap-Fitting.html will need solvent weld,available at any plumbers merchant,B&Q,Screwfix etc. Nice to see recent activity on this thread. Thanks Dave for the links. 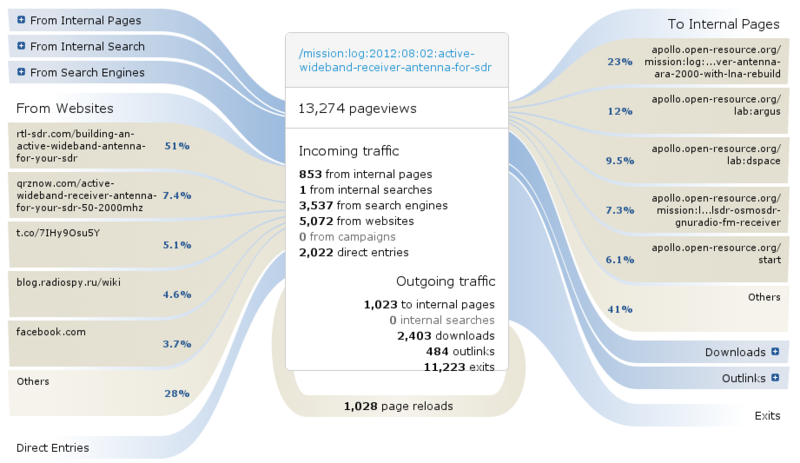 There is a lot of activity on this page, but most visitors don't leave comments. Not a surprise though, since a considerable portion of this traffic is originating from military, intelligence and defense contractor sites from all over the world, just leeching what they can get. I've recently updated the post and included the link to the first NEC modelling approach done by SAM, to have it a bit more prominent in the article and not lost in the comments. I'm quite happy to see a lot of people all over the world discussing and linking this documentation and do their own rebuilds. I've even seen a workshop by a US ham-radio group with focus on crisis/disaster/emergency radio communications about building them. So, in terms of dissemination and spread everybody who shared the link helped to get the group of people contributing to it together, so thank you all for your time and work you have given by sharing, researching, testing, building and adding more content to the article and comments, to get us all to where we are now. Not a surprise though, since a considerable portion of this traffic is originating from military, intelligence and defense contractor sites from all over the world, just leeching what they can get. It's more likely that they just have an above-average number of amateur radio enthusiasts who enjoy reading about this kind of thing on break than anything nefarious. Their own wideband SDR projects have more than enough funding to take a much more advanced route than the kind of hacky reverse-engineering we're enjoying here. Source: engineer working for one of these organisations. topkek - on break ;) Considering the average on-site time and the amount of pages and elements visited/downloaded, that's a damn long break :) Which, in the end is payed by tax payer's money through completely out of proportion military budgets. Just as a reminder, look what they've done to people like Turing or Oppenheimer, only to name the first two that came to mind. I've been contemplating blocking access to known Military-Industrial-Complex exit nodes, as I deem it nefarious by design - but that is not the way open-source can work and thrive. Having said that, I'm happy that you for one left a comment and want you to feel welcome as a _private_ enthusiast. Can you disclose? BAE? GCHQ? By the way, the email address you used to subscribe to the comment is invalid and returned 550. Thanks for this Chrono, has inspired me to have a go myself, sourcing components may be difficult in Indonesia, but that is all part of the challenge. Does anybody have any feedback on how sensitive this antenna is to local noise? I live in a very noisy city environment and am plagued by electronic smog! Hard to to say, depends on your local QRM sources, the bands you actually want to work and the LNA/attenuator settings, but as a general-purpose omni, I've been happy with it in Munich - which is also a fairly QRM poisoned environment - like any big city. I was surprised and very happy to see so many people from Indonesia and basically all over Polynesia researching antenna and WLAN related stuff (Argus), more than any other region in the world with such a strong focus on building their own DIY networks. Thanks for the feedback Chrono. Well if it works in Munich, it at least has a chance here. Although I doubt your QTH in Munich will be quite as bad as mine. I am within 2 kilometers of the Java-Bali Power distribution system which runs at 500Kv to the west of me and a cluster of high power TV and FM broadcasting towers within 3 kilometers to the north east! Nothing ventured, nothing gained as they say! As far as sourcing components goes, I'm pretty sure you'll find some copper sheets and PVC tubing in any country and from experience most electronics/hack/ham online-shops are shipping worldwide these days thanks to internet and the resulting improvement of logistics. I've tried to find some hackerspaces in your region but couldn't locate any. However, it was just a quick search and doesn't mean that there are none. You could also try to locate some hackerspace or ham group since they're mostly open, curious and build a lot of stuff themselves and usually have a good repertoire of local or online-sources delivering to their particular region. Yes the Java-Bali transmission system is all towers other than the sea crossing from Java to Bali itself. Infact 99% of power transmission, from the 500Kv system to the power distribution to domestic houses is overhead. Only within the last few months have the national supplier, PLN, started to put inplace underground cables in a few areas! Do you this will this work? For $6.89 there is little you can do wrong :) I see no reason why it shouldn't work, of course there are no guarantees - only buying and testing will give us real data to work with. If you try it, please come back and leave some feedback about your experience with it, be it as a warning for others to look for different alternatives or to actually have a cheap ready-to-go option for other antenna hackers. How does this compare to the original LNA where we would have to expect the same problem, if it was an issue? I'm no LNA matching expert but AFAIK there was nothing in particular built-in to fix any kind of 50 ohm mismatch. Have to try more of it. I will try to make a video of it and will get you the youtube link soon. I' wondering how 2 of these in series would work! In the end of the installation of the spiral on the tube, I noticed that the spacing of the copper strip is quite parallel that is the spacing of the copper is not the same all along this spiral. The spacing of the copper tape decreases significantly upward. To be a bit more clear: In the lower part from the high point of the copper of 35 mm width Strip In the first round I have a 105 mm spacing In the second round only have a spacing of 33 mm It is worth noting that the final bottom of the second round is almost directly above the start of the copper tape. The copper tape did two laps on the tube. Is it normal for you to find this provision? Specific points: It is noted, that I used a film easier and much less expensive than Aslan S22 to fix the future antenna element copper strip. Decorative adhesive film transparent smooth matte Reference A67-C3411 of society CORYL. Dimensions of the roll 67.5 cm length 2 m Waterproof film, UV-resistant Its primary function is its installation on window glass. It was easy to use it to fix the copper strip. Third point: ATTENTION: for insiders names, especially not to realize this antenna with PVC color tubes grey found commonly around because in manufacturing it is added graphite (carbon) in its manufacture, which is not the best component for a good passage of HF VHF UHF waves and Hyper frequencies, because there is an absorption of waves due to the screen of the graphite content in this type of tube or hose. It is the same with the support of antenna masts: one does not use masts in carbon, but only non-conductive fiberglass masts. In the end, I have not bent the tip of the antenna element which, for me, is not justified, because it is part of the item reception. I guess that initially the Dressler company, wanted to be in modules of Cup final tube in manufacture of 500 mm maximum length. This will also give you permission to edit the article and put your text/images directly into the article itself instead of a comment. 2. Post you images to some public imagehoster like http://imgur.com/ and use the dokuwiki image syntax to embed those images here. 3. Just post a comment with links to your images and I'll either embed or upload and embed the images for you. Hi Chrono, How would I go about uploading a pdf file? I have made a cad drawing of the copper antenna element, it can be printed 1:1, split over a few A4 pages, the pdf file has alignment marks to join papaer and a test line for checking dimensions. If interested I could email it/upload it etc. Hi, you can upload at www.tinyupload.com and post the link here. The registration is not requested. Hi, I did try tinyupload, however for some reason I there was no link generated to post here, I shall try other methods. You could try https://www.docdroid.net/ - I could upload a pdf with 1.8mb with no reg - I'll download and push the file to the wiki here once you've posted the link. Hi, thanks for that, I had a look it reminded me of dropbox..and that I have an account.. So here is link to the file, you should be able to view it before downloading. I forgot to add, the pages are set for printing onto A4 paper. Great job, Dave. Thanks a lot for it, I'm sure more people will appreciate it when they replicate their own. 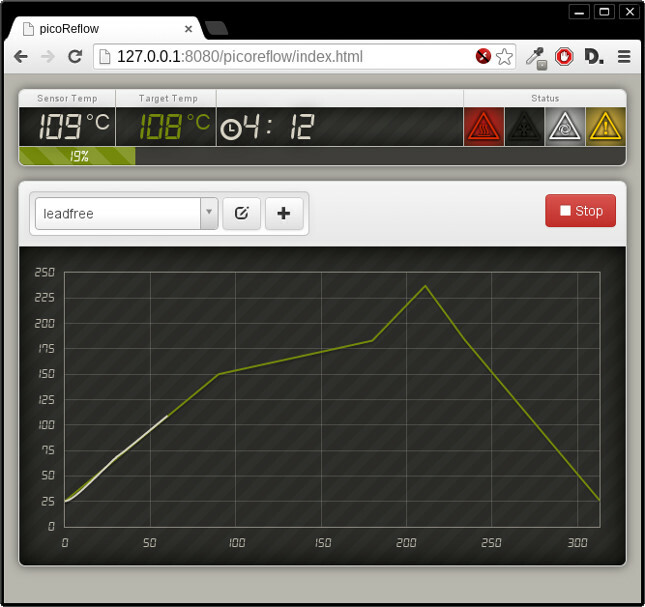 I've added it and the DIN A4 reference to the template downloads in the copper element section. Your welcome, at some point I'll get around to using the info I've posted and actually build one! Will then post some notes and findings during construction. Have a good new year. lol, yeah, I know too well how that is - so even more credit to you for actually sitting down and doing it, even though you're not reaping the benefits from it yourself right now. Happy new year to you and all other contributors and followers too. First a happy new year.. I started to build the antenna for my SDRplay RSP1 To find the copper sheet was a problem. Now i have one laying shiny here on the table. I found it on a chinese website www.Banggood.com Product ID: 961487 The have also connectors, cables and preamps. I don't tested the chinese preamps because i want to use a (MBVV-2000-VOX)external preamp. I will to try (2m & 70cm) to transmit on the antenna to for local usage. Whoa, looking forward to see some TX results, I've never even played with the idea to use it for TX. If you have access to a VNA, it would be nice to see some VSWR results because I've no idea what the impedance of the log-per-spiral actually is at the feed-point (before the LNA for RX). ( 10:26  gotramaval ) Hello guys! ( 10:28  gotramaval ) While desoldering, I´ve spoiled completely capacitors C6 and C8 according to the board markings. ( 10:28  gotramaval ) Anyone with this LNA, can please measure the capacitance values of these two so I can replace them? ( 10:28  gotramaval ) many thanks! I have got 0.1mm copper with glue on one side. Is there any problem to stick it directly on a 80mm orange PVC hose? You mean kinda like the reverse concept of this? I guess it should be possible to glue the copper monopole to the inside wall of the actual outer tube. It'll probably be more challenging to align correctly though. Im confused about the diameter of the antenna. It is stated several times that the diameter of the “antenna coil” is 80mm, but apparently it is put into a tube with an inner diameter of 84mm. Doesn't that mean that it will rattle around inside the outer tube, due to the extra 2mm on each side? The PCB layout for the amp, which is placed at the bottom of this 80mm diameter roll-up is specified to be 63.5m. What is the correct diameter and how much does it matter to use a tube of e.g. 82mm instead of 80mm when building the antenna? That is correct. when you wrap the element onto an 80mm tube (the helper tube) you end up with a mix of copper/aslan which will fit nice into the protection tube. On the original, the upper corner of the copper was bent over the edge of the tube and was automatically fixed by pushing the black cover top over it. All data here was taken from the original design. It's up to you to be creative and optimize and experiment with different things /and report back how it performed, with a documentation of your changes). As stated numerous times, the design implies a non-resonant type, hence there should be quite a bit of tolerance on how to actually build it. I am gonna use this antenne in front of one of these: Gain 32dB 0.01mhz to 2000MHz 2Ghz LNA RF Broadband Low Noise Amplifier Module HF VHF UHF”” $8.00 at China's. I already made the Whip antenna from Pa0rdt, http://www.qsl.net/g4ayt/miniwhip.html but this design stopped working at 20MC. So i am only interested (for now) in DC to 70Mc, for that band this antenna will only behave as a capacity so the buildform is no issue. 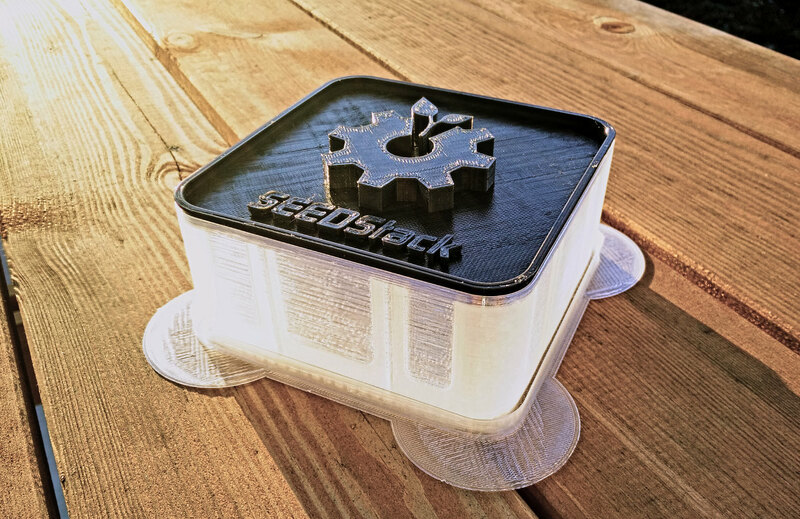 The tube in a tube is strong and easy to make, have to print some support material. I will let you know how things work out. An old trick to find if a material is a good rf insulator is to put it in a microwave oven for a few seconds. If it melts or gets warm its not. Best to put it in something that will not melt as this can be messy. Also do not forget to put 1/2 cup of water in as well, to act as a load for the magnetron. Some plastics contain additives that can be lossy. I have not seen this info on your site, hope it will be helpful to other readers. Great article. Jup, I've often used this method to ID plastics that can be used as 2.4GHz antenna cases. There are a couple of COTS LNAs out there that could be used. Or you build DIY, as people have documented as well. Hi, I downloaded the OK3ZB ARA-2000 LNA Eagle file from Github and converted it into a Gerber file and ordered the PCB in China. I have a few PCB's for sale for those who want to build the LNA. I'm interested in buying the pcb. maybe few pieces to try on few different diy projects I'm working on. please send me the detiails. Where are you based? what's the cost? As it is designed to be a wideband antenna, your intended use case is not actually “misusing” it. If you got good signals you should be perfectly fine. I've used this outside on a balcony for exactly that purpose, listening on slightly sub-UKW and “surfing” on other bands to see what was going on without having to switch resonant/band-locked antennas. thanks for your reply - think I'll give the antenna a chance then! As time flew by since you've published this article - do you know if there's a usable “ready to use”-LNA (maybe “made and bought in china”) available? Out of curiosity, I've just made one of these antennas using 0.1mm Cu foil wrapped around an 80mm plastic postage tube, with a 50Mhz-4GHz LNA. I've only tried it indoors, but I'm not very impressed as it doesn't even perform as well as a simple 60cm whip on the same LNA (DAB signals in particular are about 5dB lower). Maybe it will be better in the loft, or outside, but I can't see that it will then do any better than a discone in those circumstances. It was an interesting experiment, which only cost me £5 for the copper foil, but I suspect there's an element of “snake oil” in this design.